Eagle County wants the Crown Mountain Park and Recreation District to contribute $1.5 million toward a proposed reconstruction of a major intersection in El Jebel. 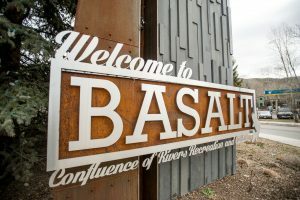 Eagle County officials disclosed to the Basalt Town Council last week that the total cost of the project is $3.75 million. The county is proposing to pay $1.5 million itself. 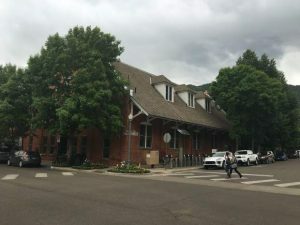 It is seeking another $1.5 million from Crown Mountain, $500,000 from the Roaring Fork Transportation Authority, $200,000 from Pitkin County and $50,000 from Basalt. Basalt officials didn’t have an immediate reaction to the request in the joint meeting with the county commissioners. The goal of the project is to pull Valley Road/East Valley Road farther away from Highway 82 and to keep traffic flowing. Valley Road is south of the main El Jebel intersection and traffic signal. A separate project, with funding from the federal government, is being pursued on the north side of the intersection of Highway 82 and El Jebel Road. 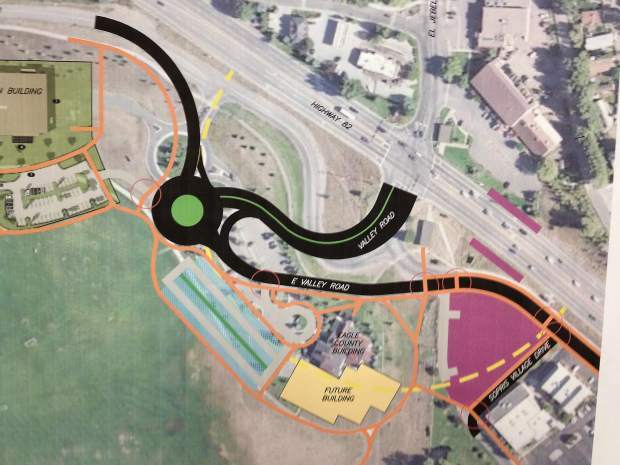 Eagle County Engineer Eva Wilson said the improvements south of the intersection are needed to accommodate the traffic that would be generated by the proposed indoor recreation center. Crown Mountain will seek funding approval from midvalley voters in November for the 63,000-square-foot recreation center. One question will seek a property tax increase to pay for construction of the facility, estimated to be as much as $25 million with infrastructure costs. A separate question will seek a property tax increase to raise operating funds for the facility. County Manager Keith Montag said the county and Crown Mountain officials have a difference of opinion on the “fair share” the recreation district should pay for the intersection. Bill Reynolds, president of the Crown Mountain Park and Recreation District’s board of directors, said the board has always said it would contribute to the intersection projects. However, the district doesn’t want to pay a disproportionate share simply for being “the last one to the dance,” he said. Crown Mountain officials have argued that many factors contribute to the need for improvements to the intersection. They question why the indoor recreation center should be considered a driver when traffic is produced from so many other sources. RFTA is opening a new park-and-ride and revamped bus station in El Jebel this weekend. There are slightly more than 80 parking spaces in the new lot. Dan Blankenship, CEO of RFTA, said the bus agency’s board of directors has yet to assess Eagle County’s request for $500,000 for the intersection improvements. If the agency contributes, it would be preferable to spread payments out over at least two years, he said. Reynolds said the proposed recreation center shouldn’t be viewed as “the big villain” in the midvalley traffic debate. 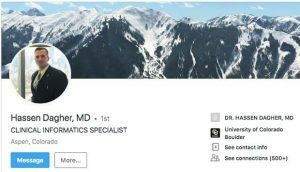 He said the recreation district’s board will discuss Eagle County’s request at its next regular meeting on Wednesday evening. Reynolds said he doesn’t believe the county’s request will force the recreation district to seek more funds in the November ballot question. The campaign over the recreation center will heat up this month because mail ballots for the Nov. 5 election will be sent Oct. 15. A group supporting the recreation center — Friends of the Mid Valley Rec Center — has scheduled a free barbecue at Crown Mountain Park from 5:30 to 7:30 p.m. Sept. 10. The event is being billed as an opportunity for people to show support and get their questions about the facility answered. Meanwhile, an opposition group has been created, at least informally. Basalt Mayor Jacque Whitsitt said at the joint Basalt-Eagle County meeting last week that she was “helping the opposition.” She quickly changed her statement by saying she is “providing factual information” to the opposition group. Members of the opposition group have declined, thus far, to discuss their reasoning for fighting the recreation center.